The Yomawari: The Long Night Collection, from developer Nippon Ichi Software and published by NIS America, is a stunning and oftentimes unsettling experience about trying to find someone you love when all hope seems lost. 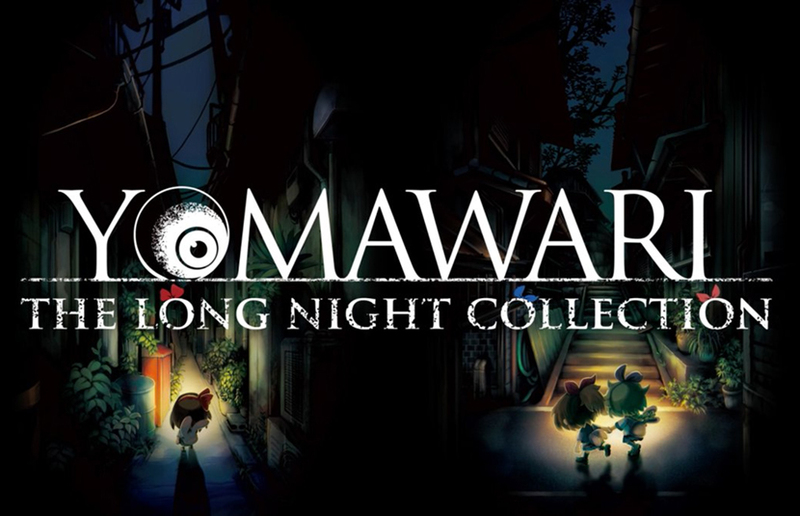 This collection includes Yomawari: Night Alone and Yomawari: Midnight Shadows, and both feature the same heart-thumping premise that the game cites as something you should not divert your eyes from. There are plenty of mysteries surrounding these rural Japanese towns and you will have to hide from an unspeakable horror lurking in the night in order to get home and survive. My experience with both games was not what I was expecting. Traditionally, horror games utilize principally grotesque aesthetics to enhance the fear factor. In contrast, many of the assets in Night Alone and Midnight Shadows are comprised of hand-drawn, cute, but deadly sprites as a reflection of the player-character girl’s innocent perspective. This style of art direction is potent because a giant smiling spider-like thing touching the girl results in the same consequences as a black ball with teeth and weird appendages touching her and screaming “DEATH!” This is something that remained unsettling for me; thinking that a sprite was utterly harmless, I would be startled when walking into it resulted in a blood-stained black screen. Furthermore, both games excel a creating the dread of an encounter even when there is not one to be had. The “warning” heartbeat begins long before a spirit is nearby, regardless if it is on the other side of impassible terrain. So while the threat cannot be seen, I know it is nearby and if it never appears, then where the hell is it? The plethora of “first encounters” that occupy Night Alone and Midnight Shadows will keep anyone on their toes. Still, I found myself abusing its checkpoint and save systems by intentionally dying because I know that even after dying, items collected never drop. Because of this, the game is easy even when one overcomes the fear of death. In Yomawari: Night Alone, you play as the girl—the player-character—who reunites with Sis in the first chapter, only to be separated immediately and indeterminately. Sis apparently drops her flashlight, an important item that the girl keeps and uses to survive her trek around town, for the deadly spirits populating all around town can only be seen via the light. That is not the only survival mechanic that players are armed with and long before enemies can be seen, the girl’s heart palpitates—slowly at first, and more rapidly in accordance with the vicinity of a malevolent presence. As a side effect to the proximity of a spirit, the girl becomes seemingly short of breath, unable to run as far as she can while not under duress. Night Alone and Midnight Shadows maximize this effect, oftentimes leaving the girls just enough in their stamina meter to barely escape a few encounters. These close calls heighten the sense of terror and help you fear for the characters. Many of the gameplay mechanics, and even the stories, are extremely similar in Yomawari: Midnight Shadows to Night Alone, however, one big change is that now you play as two main characters. The story revolves around two close friends Yui and Haru; after they are done watching a fireworks display, they head into the woods to get back to their houses. Unfortunately, they end up getting separated, and the rest of the game is spent trying to reunite them by jumping back and forth between the two. Thankfully, you end up spending more time as Yui as she has a map and flashlight in her inventory. The flashlight can be used to stun the demons that get in the way, and the map is important for safely navigating the environment and a rather large town. These are definitely “run away and hide” style of horror games. You are unable to perform any combat maneuvers against the monsters and you pretty much just have to play keep away. Scine you’re always defenseless, it is imperative to run and find cover. By hiding in a bush, behind a police sign, or even in a cardboard box, the rest of the world will be blacked out. The entity that was giving chase will often run up to the girl and they are represented by a shifting red smoke-like sprite. For as long as each girl spends hiding, a red pulse is sent out, which pings nearby enemies in a sonar-like fashion. Once all red blips disappear, it is relatively safe to venture out from a hiding spot and to continue the adventure. Along with navigating the environments, you will have to solve some puzzles and try to get around certain traps. Sometimes the traps can feel a bit cheap at times, but after some perseverance, you can get through relatively easily. Near the end of both titles though, I found that they can really test your patience with an abundant amount of trial-and-error moments which can be very frustrating. Overall, you will either enjoy Yomawari: The Long Night Collection or not, and if not, these types of games are just not for you. For me though, I found they featured everything a horror game needs, including engaging characters and story, scary monsters and spirits, and frightful towns. The mechanics and gameplay feel fine, but there’s really not much differentiating between the two and in this way they can feel somewhat too similar. When all is said and done, they both end up being original and thrilling takes on the horror genre and demonstrate how games can be great when created with limited resources.